Several shipmates have sent in videos taken aboard the Key. These bring back life aboard as no single picture can, especially the sounds. These might give future generations a taste of what life was like on and FBM submarine. If you have any videos or 8mm movies taken of the Key, be sure to send them in. We can convert them to digital format and share them with all your shipmates. Now sit back and enjoy the show. 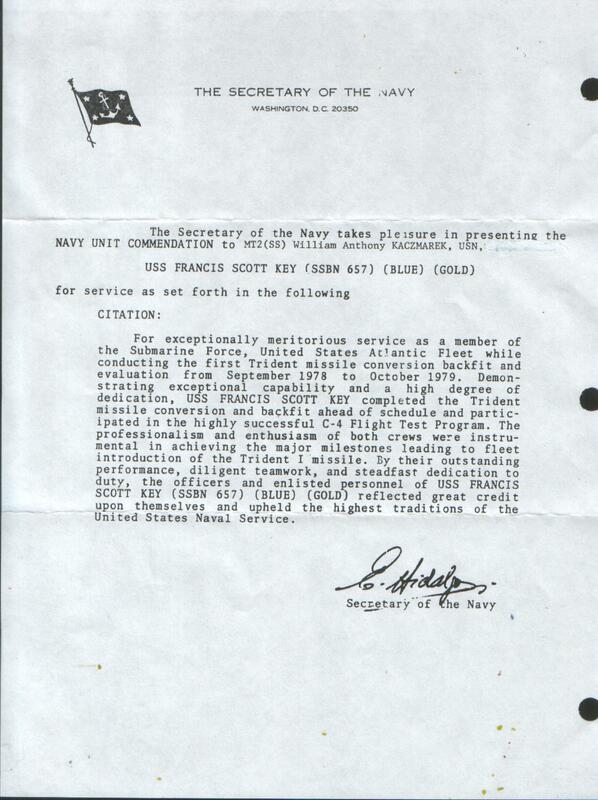 100 minutes of life aboard the USS Francis Scott Key in 1987 and 1988. 05/27/09 Jeff Burke sent me a 100 minute VHS video tape taken on the Key in 1987 and 1988 by the ship's photographer MSC Andy Sierra. I have converted it to a .wmv file but in the conversion some of the quality was lost. The tape I received was a copy so each generation degrades the quality. I noticed that if you reduce your screen size by half it improves the image viewed as it has less screen to stretch the pixels to fill. Key Leaving Port in 1988 - Key leaving St Mary's for patrol. Dolphins in Bow Wave 1988 - A pair of dolphins frolic in the bow wave of the Key as it leaves port. Swim Call 1988 - One of the few luxuries of being on a submarine. The swimming pool was always very near. 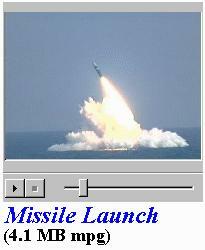 Launcher - a very brief look at a missile launch sequence. Stores Loading Party - Relive those great moments of loading stores from the tender to the stores lockers in the boat. Dry Dock - The Key is shown in a floating dry dock, then leaving to go to the pier. Dive Dive - The Key is leaving port and readies for diving. The actual dive is seen from control but is quite dark. The sound is great. Halloween Party Part 1 Halloween Party Part 2 - A typical party during patrol to relieve some of the tedium of a long cruise. Due to its length, I broke it into two parts. Surface the Boat - The video is shot in a darkened control center. The audio will bring you right back on patrol. Swim Call #2 - Did these guys ever do any work? Here they are lounging around on the surface again. You sure this isn't part of the Coast Guard? Return to Port - The Key is returning from patrol and ties up. This ends the video. There is a scroll of the names of the crew and credits to the photographer. Torpedo room of the Key in the spring of 1992. Ples Reynolds recognized one shipmate: "I think that is TM1 Bowman all the way forward. the two guys in the middle, it was their first patrol and they were striking for TM." Spring 1992 (it was during the last blue crew patrol which was patrol 71 if I recall correctly), during the evening watch during TDU operations. The only guy in this one whose name I can remember is the guy with mustache and glasses who is standing Chief of the Watch U/I (MT1/SS Frank Wunderler) Can't hear the words too well but you can hear the 400 Hz whine in the background. From Ples Reynolds: "Frank Wunderler is Chief of the Watch under instruction. MMC Pointer is C.O.W. SK3 Dodson is driving beside Frank. The other guy driving was a QM but I cannot remember his name. I think the Diving Officer is FTC Rainer but it too dark to be certain." 'This is during a test dive during patrol 71 (Spring of 1992) when we did the last blue crew patrol, kind of weird in that we went all the way from Kings Bay into the Med, did a few days alert, got a port call, and then all the way back home. It was strange being mod-alert almost all the time, the "feel" was probably a lot more like being on an SSN because we were transiting deep and fast and coming up a couple times a day to clear the broadcast. Actually it was a lot like late that year in 1992 after we converted back to single crew for decommissioning and were sort of a "slow attack" for a while. An SSN with MTs (missile techs) and missile tubes full of ballast water, if you will. I figured you being an MT and all, I'd use a small clip showing MCML around Launcher. This is during a test dive and the string in the picture is when we tried that thing where you tie a string athwartships and see if it sags as the boat goes deeper and deeper. Most of the guys in the clip are either MTs, STS (sonar techs), and the guy in the red shirt is one of the MSs (cook). Hope you like it." The guy in his t-shirt and shorts in MT3 Richard Mason, the guy he is talking to MT Green, we called him tripod after the first time he put on a kapock life jacket, it looked like he had 3 legs. MT3 Thorton (?) is sitting behind him. The guy beside Mason in his poppie suit is STS2 Delino. The guy beside Delino, he was a sonar tech from the Virgin Islands and we rented an apartment together for a while, is Nav ET Dalmida. Video from the same patrol (Spring 1992), this is AMR1 underway sometime during the evening. I kind of remember some of the names but perhaps one of the blue crew guys will know for sure. The big guy I'm talking to is MM3/SS Daley (first name Art? can't remember for sure). the guy working on the O2 generator with his back to the camera is MM1/SS King (first name Thomas? also can't remember for sure). From Ples Reynolds: "The guy you see leaving AMR1 as soon as Tom opens the door is MT3 Bankert (now on eternal patrol). he was the Missile Compartment Roving Patrol watch. The big guy he talks to is Art Daley. Ii do not know the other two." 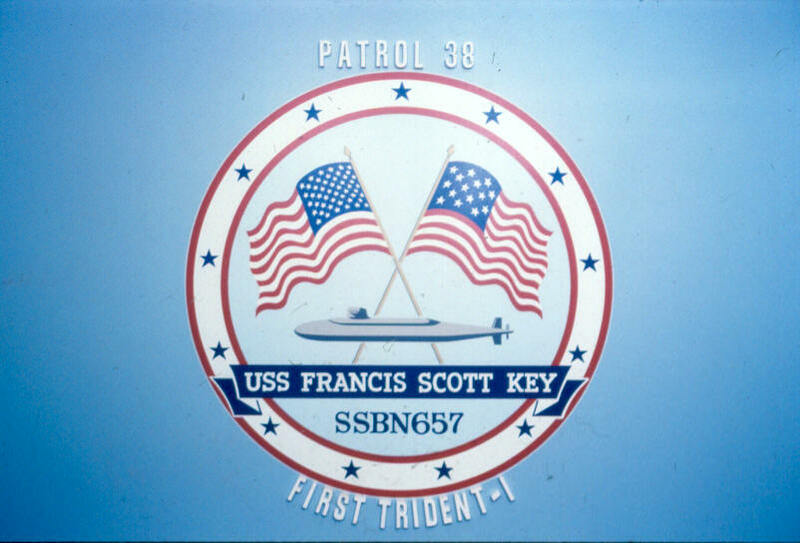 First successful Trident I missile launched from the USS Francis Scott Key. This is a video of the launch of two Trident I missiles from the Key. 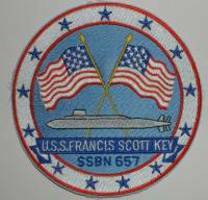 The Key Blue and Gold Crews were awarded a Navy Unit Commendation for the launch and subsequent refitting of the Key to Trident I missiles The Key also became the first submarine to go on deterrent patrol with a full compliment of Trident I missiles. Click to watch video. Give it a minute to load. You must have a video viewer software such as Windows Media Player to view the video.